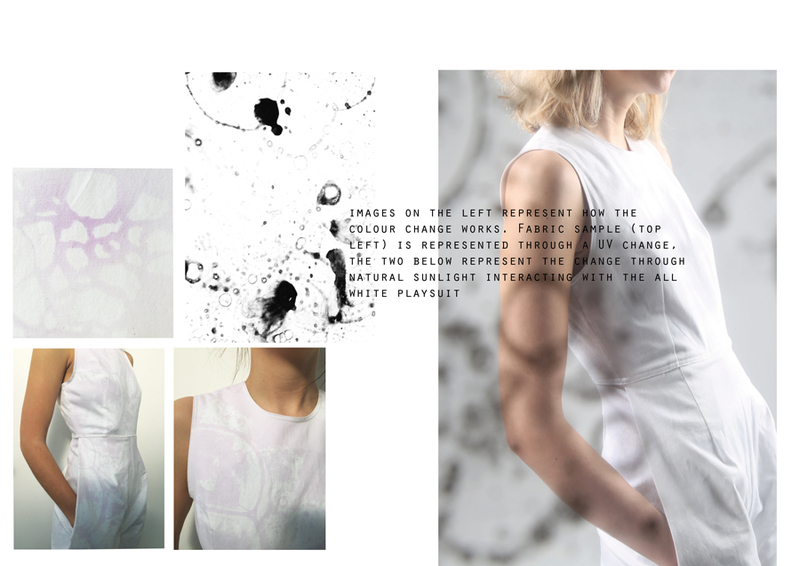 Fiberology is a technical womenswear brand exploring the use of colour change within fabric for a future collection. 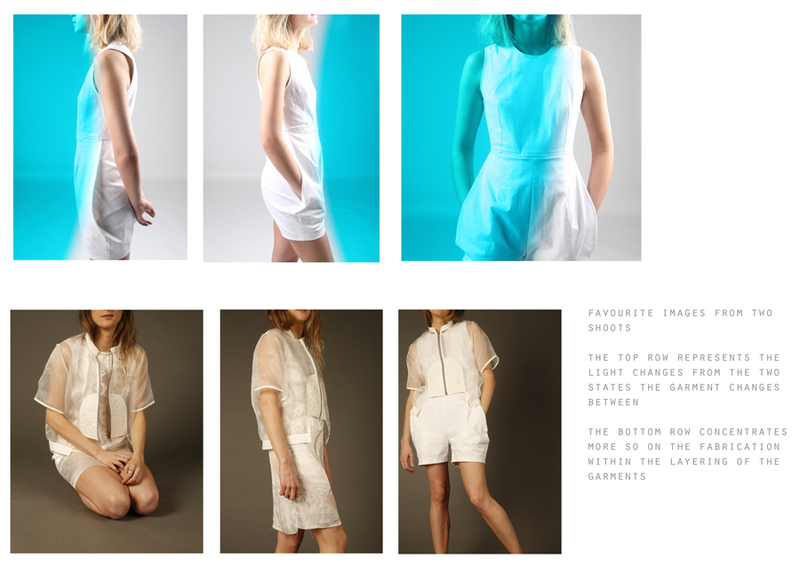 The range consists of all white garments with grey detailing used for zips and fastenings; this allowed my collection to stick to a consistent level of sophistication whilst giving the brand an exclusive identity. Through the use of screen printing Fiberology has created prints that express a futuristic nature whilst expressing these prints also in textured inserts upon the garments. This has allowed an experimentation of the different uses of fabric, which have complimented each other through the way I have constructed them together. The colour-changing element that certain garments in the range contain is subtle, allowing the change to only occur through the use of UV or natural exposure to sunlight. The garments return to their original state after the exposure has decreased.